WOLFSBURG - Volkswagen Group's external compliance monitor, Larry Thompson, a former U.S. deputy attorney general, said he disagreed with some VW executives' use of privacy and attorney client privilege rights to withhold information about a $27 billion global emissions-cheating scandal. VW was ordered by the United States Department of Justice to deliver three annual reports examining the cause of pollution violations to Thompson. Thompson is now acting as an Independent Compliance Auditor (ICA) as part of a plea agreement reached after U.S. authorities blew the whistle on Volkswagen's excessive diesel pollution on Sept. 18, 2015. "With respect to the VW defendants' assertions of privilege and work product, the ICA has disagreed with some of the VW defendants' assertions," Thompson's interim report said on Monday. "The VW defendants have promised further improvements in their provision of information, and increased the frequency of discussions with the ICA regarding this topic." Thompson was installed as VW's independent compliance auditor last year. His role is to ensure VW's systems conform to new compliance standards. In 2017, 176 "corrective actions" to be taken by Volkswagen were identified and a further 240, in 2018, the report said without providing further detail. 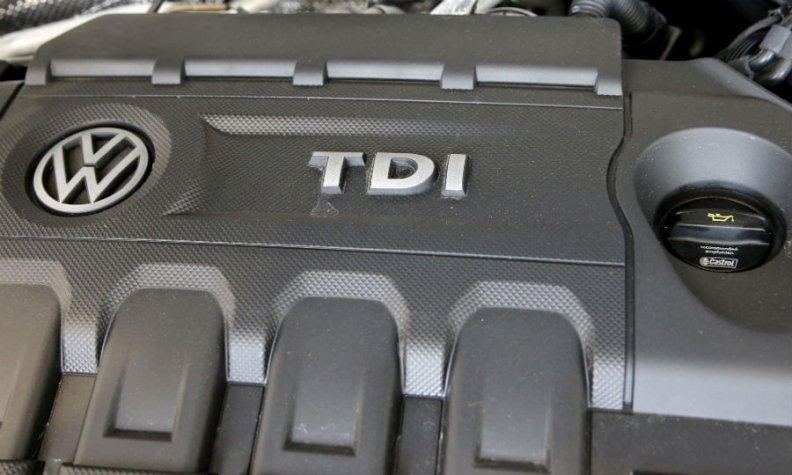 Volkswagen has insisted that its diesel cheating was the work of low level executives. But earlier this year, Rupert Stadler, the chief executive of VW's premium brand Audi, was remanded in custody for potential obstruction of justice related to an emissions probe, and U.S. authorities have filed criminal charges against former VW CEO Executive Martin Winterkorn. Both executives deny wrongdoing. Prosecutors in Brunswick, near where VW is headquartered, have identified 39 suspects for their involvement in an emissions cheating scandal and have also investigated other companies including Daimler and supplier Robert Bosch for separate emissions issues. Brunswick prosecutors are also investigating Volkswagen's current chairman and chief executive, Hans Dieter Poetsch to see whether VW executives informed markets in a timely manner about the financial fallout from the scandal. Volkswagen has said its management has not violated disclosure rules. Hiltrud Werner, VW's board member for integrity and legal affairs, said the carmaker was working steadily to adapt its systems and code of conduct to learn from the crisis. Volkswagen wants to put integrity on an equal footing with world class profitability and manufacturing world class vehicles, a task that will take until 2025, she said. "We face a marathon ahead of us to implement this," Werner said.